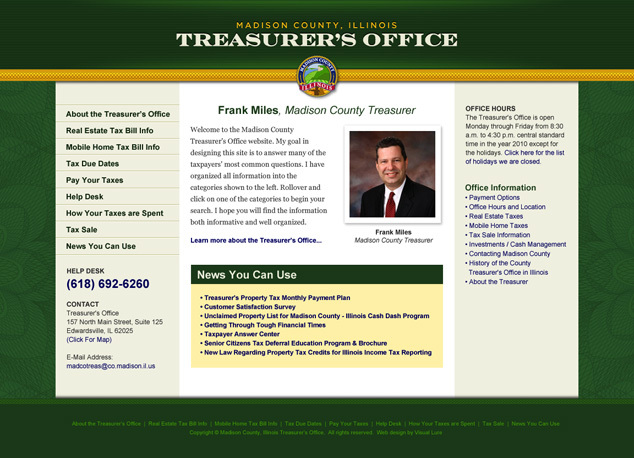 The Madison County, Illinois’ Treasury Office has contracted Visual Lure to design and develop a new website. Their current site is simply pages on the main Madison County website, so we are helping them develop their own online presence. Our goal, and theirs, is to make the website user friendly and have information easy to find. We are in the design and layout stages right now, but here is a little sneak peek at our proposed home page design. We will have an update on the blog when the new website has gone live.